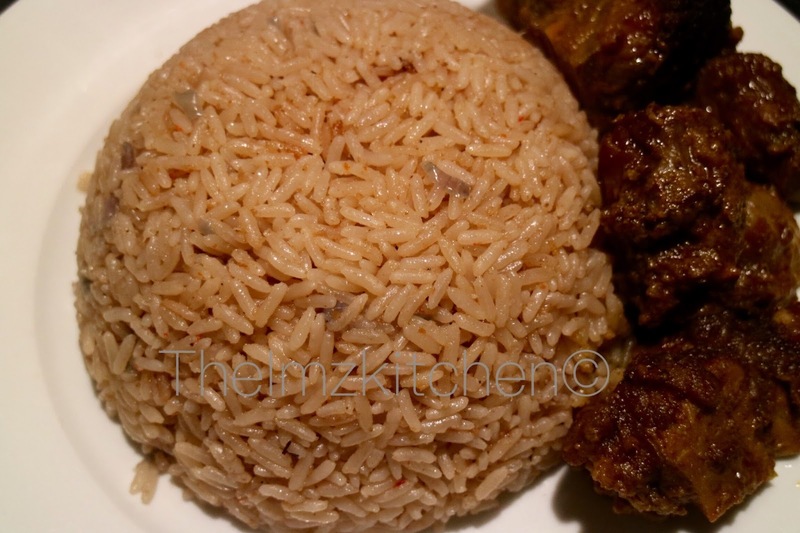 Instead of parboiling your rice, soak in hot water for 10/12 mins, then wash out and keep aside . Pour the coconut milk in a medium size pot and put on fire, add onions, crayfish , pepper, maggi, and half cooking spoon oil. Stir together and taste to make sure it’s tasty enough . Close the pot and allow to boil . Add the rice and mix, add water just enough to cover the rice . It’s better to put water in bits , than to add so much and get it too soft. Allow to cook low-medium heat. Check on the rice after 12-15 mins , to check if it’s cooked, if the water is drying up and it isn’t soft enough, add a bit more water and allow to cook , don’t overcook the rice. Monitor the rice to ensure its soft and there is no water. dish and serve. Next Post Meatball pasta bake.